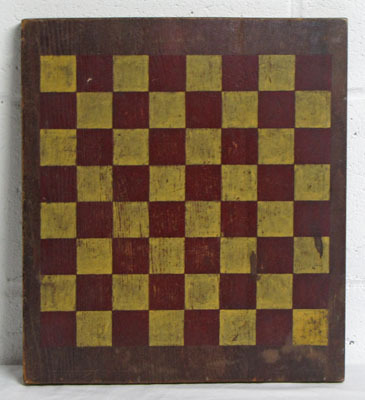 Nice painted game board in red and mustard paint on a brown background. One board with no cracks. Dates from late 19th to early 20th century.